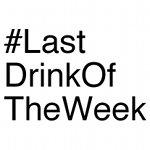 Another week, another decision to make on the drink front. However, tonight’s choice has been made easier by a couple of things that have happened this week. 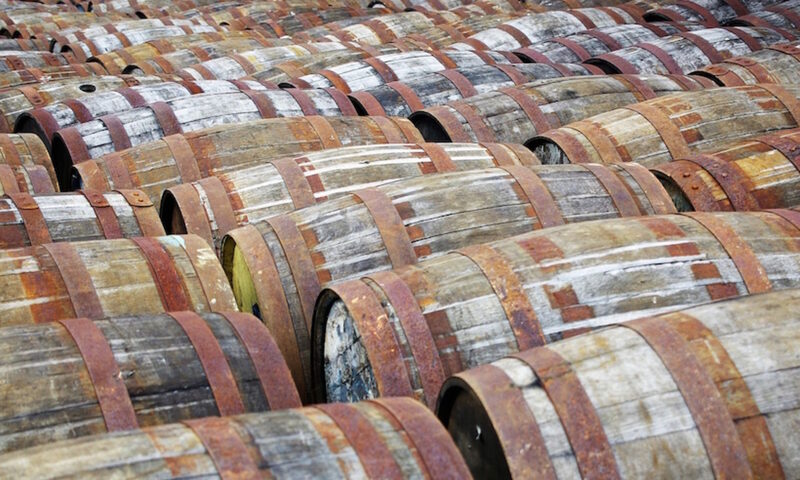 A few days ago the results of the Spirits Business Scotch Whisky Masters were announced. I’ve been a judge for them for a couple of years and this is my second time on the Scotch Whisky Masters panel. It’s quite an interesting experience and does wonders for honing your decision making – my group had 55 whiskies to taste in a day. Of all of the drams we tried there was one that really stood out for me. As we judge blind it’s an effort to find out what a specific whisky is, but this was good enough for me to ask for a reveal once we had finished judging. 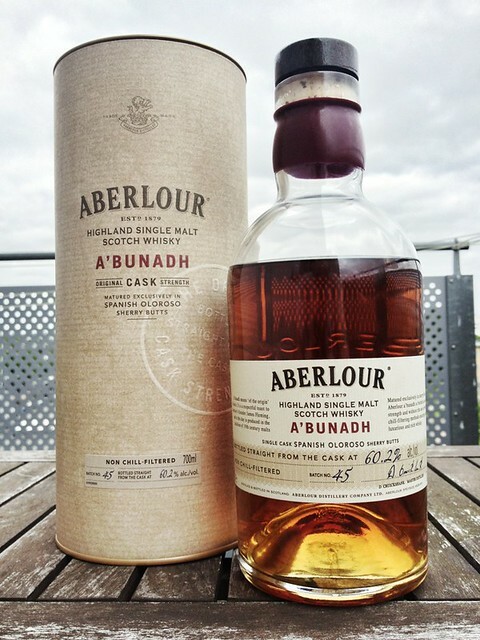 It turned out to be Aberlour A’Bunadh Batch 45. I’ve had numerous bottles of A’Bunadh over the years and I’ve yet to try a bad one (although Batch 41 may have gone a bit wrong) but none have as yet jumped out and grabbed me like batch 45. As soon as it arrived at work I bought a bottle to check whether it was as I remembered from the competition. It was. On the nose it’s heavy and rich, as you’d expect, with Crunchie bars, chocolate raisins, Eccles cakes, cinnamon fireballs and fresh leather. To taste the sweetness continues, with intense raisins, fruity dark chocolate, bitter cocoa, sweetened coffee, treacle toffee and liquorice sticks. It finishes with more eccles cakes, soft liquorice, toffee apples, cinnamon spice and lots of alcoholic warmth. At 60.2% it’s quite hot and while worryingly drinkable without dilution, takes water quite well – it bumps up the sweetness and adds some gummi fruit notes to the palate, as well as amplifying the darker notes in the finish. I was happily drinking it half/half with water and it maintains an impressive intensity of flavour even below 40%. Crunchie bars, coffee, raisins and liquorice condensed into a single dram – I may have to stock up before it sells out, as each batch now does with increasing speed. I wasn’t originally going to go for a whisky this evening, instead looking at cocktails after visiting the Lyan Bar popup at Trangallan on Friday night. I enjoyed the preview night so much that I went again, and there were two drinks on the menu that inspired me to do some research. However, they will have to wait until another time. 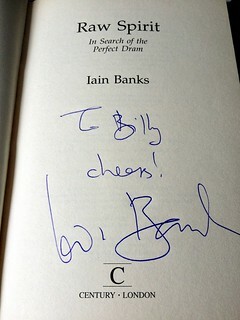 Sadly, it was announced today that Iain Banks, my favourite author, has died. He announced in April that he didn’t have long to live thanks to recently discovered cancer, and despite the moving up of the release of his next book to June 20th he didn’t quite hang on long enough to see it hit the shelves. Strangely, it doesn’t feel like losing one person. Instead a whole universe has gone. As a huge fan of his Culture books I’m also sad that the civilisation he created, with its seemingly infinite worlds and inhabitants, is now frozen and won’t expand and evolve any more. I’m very pleased that I managed to meet him a couple of years back and (drunkenly) thank him for writing all of his books, Iain and Iain M, as well as Raw Spirit, his book about whisky. It may be more about driving around Scotland and stopping along the way for an occasional dram than it is a ‘whisky book’, but it introduced me to the idea that there might be stories behind whisky. It piqued my interest in what went on behind the scenes and as such is in part responsible for not only my switch of careers but also the thing that kickstarted the possibility of that change – this blog. The book also introduced me to Chateau Musar, which is something I didn’t get a chance to thank him for. I normally stay away from tribute writing and RIPing, but in the case of Iain Banks I felt it would be appropriate to have a wee dram in his honour this evening.